It’s no secret that yoga offers multiple health benefits, but surely a class contains nothing more than breathing and stretching? Well, not anymore... here are six new types of yoga class to try out for the ultimate mind and body makeover. New yoga hybrid classes are switching up the traditional stereotype and fast becoming the exercise of choice for women. So if you’re looking to strengthen and tone your body, and relax the mind, don’t throw out your mat just yet – we’ve rounded up the best new types of yoga for you to try right now. The Class – Pioneered by American fitness trainer Taryn Toomey, The Class is currently taking New York by storm, and is soon to reach the UK too. Like yoga with a boot-camp twist, each 75-minute class targets one muscle group per song, together with mixed bursts of cardio. This is great for if you want to be challenged. 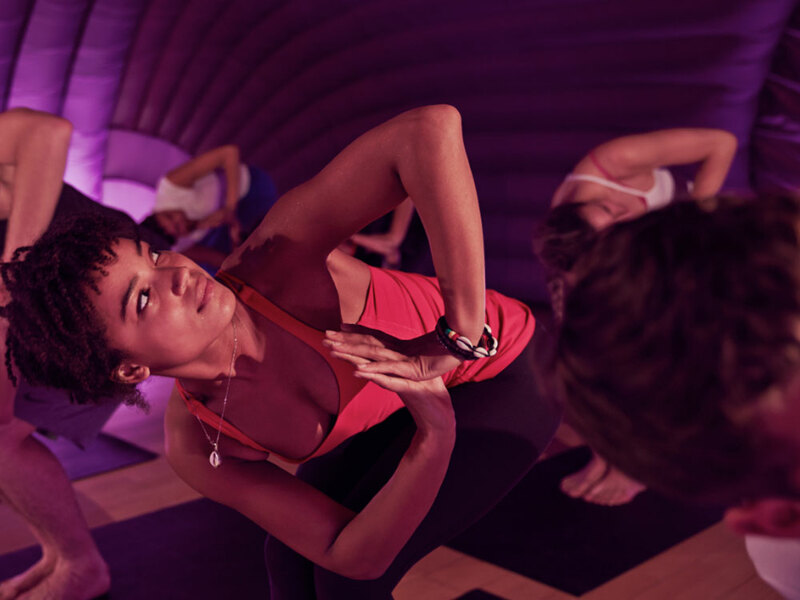 Hotpod Yoga – This intensive vinyasa workout takes place in inflatable heated studios at a 37°c temperature to warm the muscles and aid flexibility. The hotpod pop-up studio means they can practice pretty much anywhere, while the heat helps the heart to work harder. Perfect if you like to build up a sweat. Hotpod also offer in-office classes so you can try it during your lunch break. Voga – A new workout inspired by art, fashion, film and wellbeing, which fuses the breath-synchronised movement of yoga with ‘strike a pose’ vogueing. Think high-energy dance moves alongside an 80s soundtrack. Voga is best for those who get bored easily and want fast results. 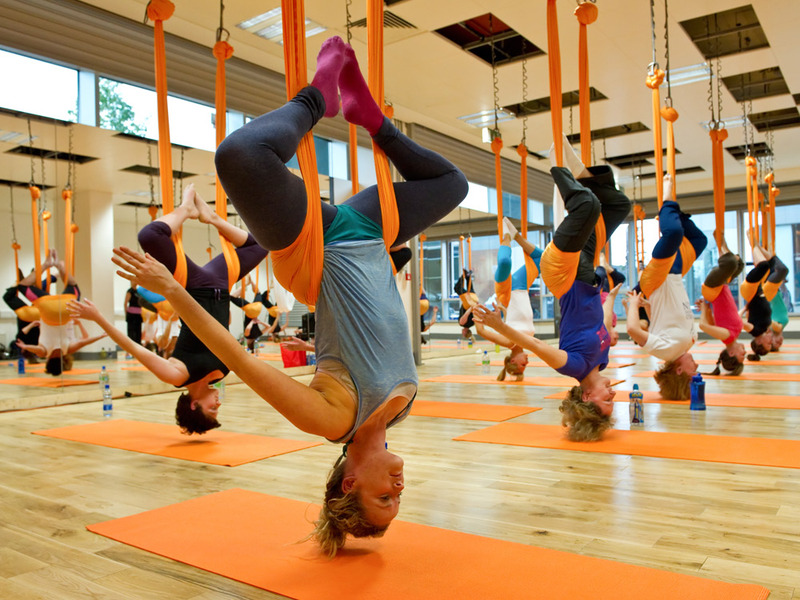 Antigravity – Hanging suspended in the innovative ‘antigravity hammock’ while you exercise, this fun workout is designed to increase posture and physical agility. The combination of yoga, acrobatics, pilates and callisthenics keeps it interesting, while the hammock makes it feel like you are flying. Great for muscle lengthening – it even claims you will leave feeling lighter and taller! AcroYoga – This is partner-based yoga so you can work out with a flexible friend. It combines acrobatics with your own body weight to enhance stretching. Combining three main practices: ‘Solar acrobatics’ that cultivate empowerment and joy, ‘lunar healing arts’ that encourage listening and letting go, and ‘yogic practices’ that cultivate breathe awareness, life balance and connection. This is best for releasing tension and strengthening. Buti Yoga – An exciting hybrid of high-intensity power yoga, tribal dance, and plyometrics, this is an enjoyable way to tone the core muscles. Using the ‘spiral structure’ technique created by founder Bizzie Gold, this workout transforms the appearance of the body and performance almost immediately. Best if you want amazing, instagram-ready abs – and let’s be honest – who doesn’t? They offer at-home DVD systems, online class memberships and in-studio classes. Feeling inspired? 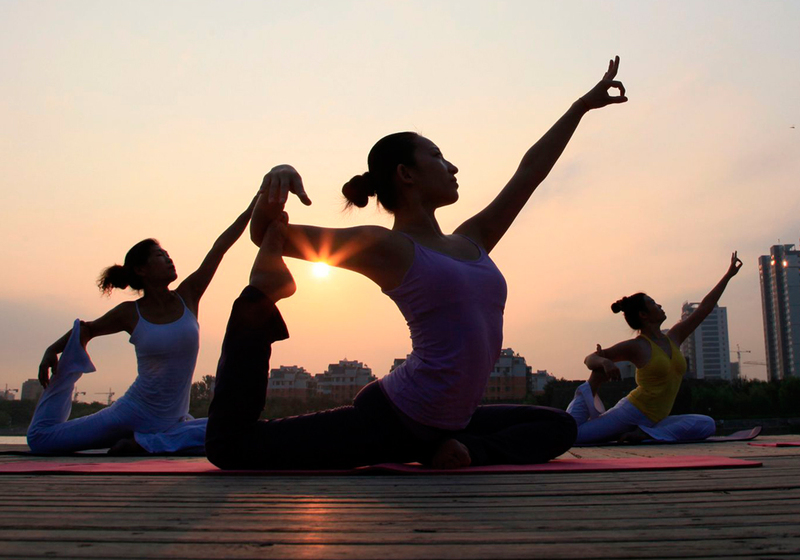 There are plenty of other types of yoga you can try out too – there’s yoga for insomnia if you need help getting a good night’s sleep, yoga retreats in Morocco for a total mind and body reboot, and even face yoga to help banish wrinkles.